Staying healthy is a challenge when you are not sure about what to include in your diet. This is why it is important to understand which super foods must be incorporated in your daily meals. The right choice of food can bring about a big change in how you look and feel. Super foods are nothing but foods that are known to have the most beneficial properties. 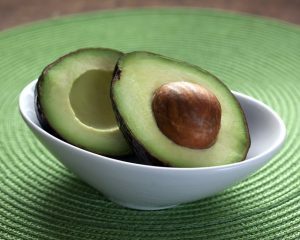 Avocado: Avocado may be high-calorie but it contains many healthy monounsaturated fats. This vegetable is loaded with important minerals and vitamins; it is an excellent source of potassium. You can include avocados in the form of guacamole, in salads or as sandwich-spread. Oats: Oats are complex carbohydrates which help to release the hormone called serotonin. This is known to help in fat burning and relaxation. Pomegranates: Pomegranates are rich in folic acid and antioxidants. They are fiber-rich low-calorie fruits which suppress hunger cravings. The antioxidants can slow down the aging process and work as prevention from many diseases. Pomegranates are also rich in Vitamin C and dietary fibers that prevent overeating. Drinking this fruit in juice form can help you to lose abdominal fat. Blueberries: Blueberries are high in fiber and antioxidants. They will keep you feeling satisfied for a long time. Blueberries are considered to be super foods as they have polyphenols which induce lipolysis or breakdown of the fat cells. They have low sugar content and keep the insulin levels in blood stable. Blueberries are also low in salt content and cholesterol. Lentils: Lentils are rich in proteins and fibers, containing resistant starch which accelerates metabolic rate and helps in burning fats. Lentils are also delicious and affordable; they help to suppress hunger pangs and keep your stomach satisfied for longer. Salmon: One of the greatest sources of lean proteins is salmon; this fish is rich in omega 3 fatty acids and can increase insulin sensitivity. Salmon is a heart-healthy food which has multiple health benefits, it helps to prevent heart ailments and the fat-content in salmon make this very satisfying. 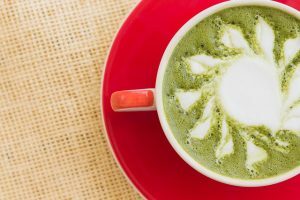 Green Tea: Green tea is a well known super food. If you can drink a few cups of green tea every day, you will be able to shed the extra weight much faster. It is rich in antioxidants which help to burn calories and fat. It contains anthocyanin and pro-anthocyanin which can block the bad cholesterol in the blood, increasing levels of good cholesterol. Green tea can boost the body’s metabolic rate and help in burning more calories. It helps to increase endurance when you exercise. Flaxseeds: These seeds are excellent for weight loss and flaxseeds contain a high amount of fiber and omega 3 fatty acids. You can either sprinkle it on salads and soups, or mix it in warm water. Mushrooms: These are excellent meat-replacement foods which are low in calories. You can eat mushrooms to lower your daily calorie intake and lose weight at the same time. Eggs: Eggs are super foods because they are high in proteins and low in calories. Eggs contain choline that stops fat absorption. Eating the yolk in eggs helps to lower levels of bad cholesterol. Eggs make for an excellent breakfast food because they help to boost your energy. Almond: Almonds keep you feeling full for longer hours as they have high fiber content. They are very rich in fatty acids such as the omega 3, omega 6 and omega 9 which are healthy fats. Almonds contain unsaturated fats which can prevent heart diseases. They stabilize blood glucose levels and lower cholesterol build-up in your arteries. Olive Oil: Olive oil can actually help you to lose fat; the polyunsaturated fats in it keep your cravings at bay. The oleic acid contained in olive oil is responsible for breaking down the excess fat. Quinoa: Quinoa is a tasty seed that is believed to be a complete protein. This super food is very rich in proteins and low in carb content. It contains all essential amino acids needed for better and stronger muscles. 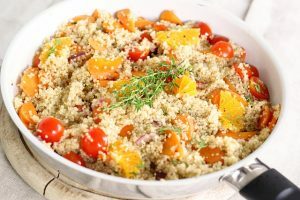 Quinoa helps in weight loss because it keeps you feeling very full for longer hours, and boosts the metabolic rate helping you burn the fat faster. The quinoa comes with a nutty flavor and you can replace cereal grains with these seeds. It is versatile and may be used in both cold salads and warm dishes. Raspberries: Like blueberries, raspberries are excellent foods which help in weight loss. They contain phytochemicals called ellagic acids. Raspberries work like antioxidants and have anti-cancer properties. Raspberries are also high in fibers and low in calories, working as metabolism boosters. You can easily add these berries to your daily diet; they can be used for preparing smoothies or as cereal toppings. Sweet Potatoes: These are super foods as they have a high content of phytochemicals that gives them the rich color. Compared to regular potatoes, sweet potatoes are far more nutritious, being rich in Vitamins C and B6 and containing a lot of fiber. They are loaded with many important minerals and vitamins and have a strong flavor.